What is Corned Beef? It is also called “bully beef” by Jamaican. Corned beef is a salt-cured beef product. The beef is treated with large grained rock salt, also called “corns” of salt. Hence we have “Corned Beef”. Much of canned corned beef is imported from South America. Come home after a long day of work and not sure what to cook for dinner? 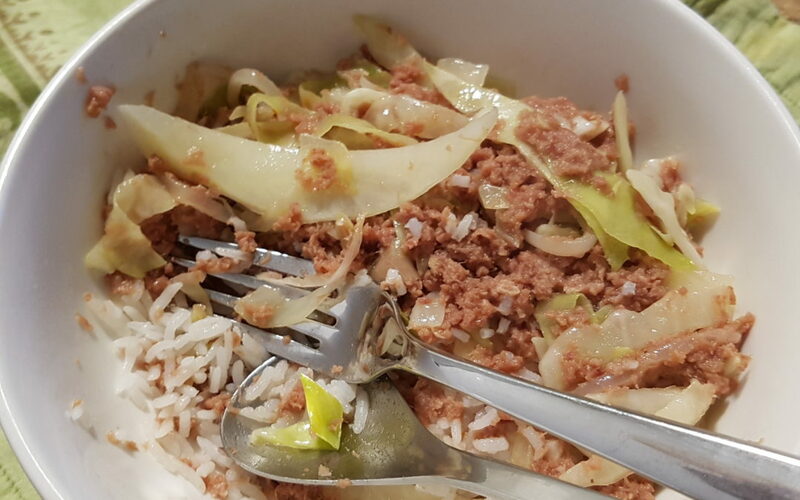 You don’t have enough time to make a gourmet healthy meal, why not try this quick and easy recipe “Canned Corned Beef with Cabbage”! 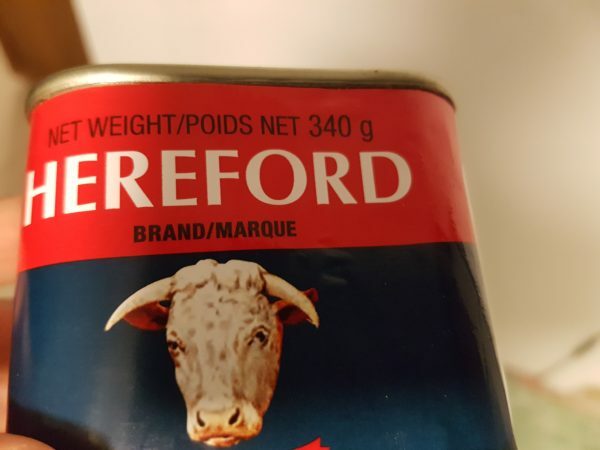 Try “Hereford” canned corn beef. it is $0.50 more than the Grace brand or other brands. Hereford canned corn beef tastes better! 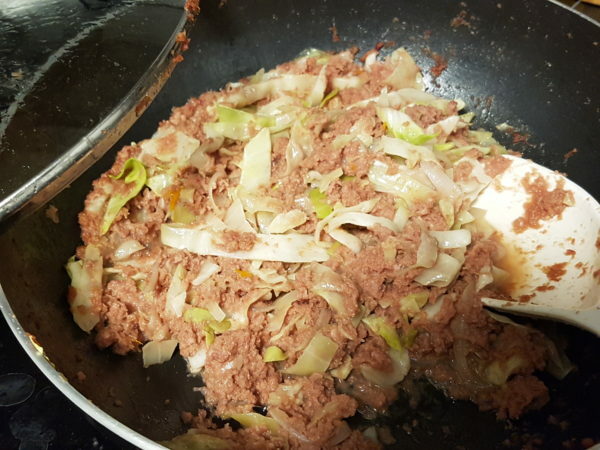 open a can of corned beef and add to the pan of oil and onion. Smash up the corned beef/bully beef and cook until it breaks apart. Add cabbage and stir. 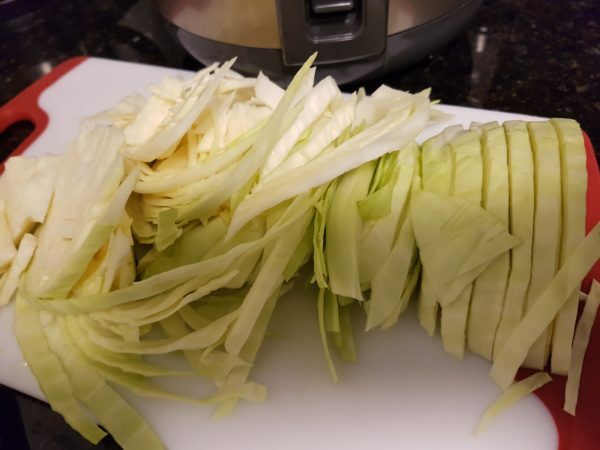 Cook until cabbage is al dente (approx. 10 minutes). 1. You don't need to add any salt to this dish! the corned beef/bully beef already has a lot of salt. 2. Make 2 cups of steam rice. 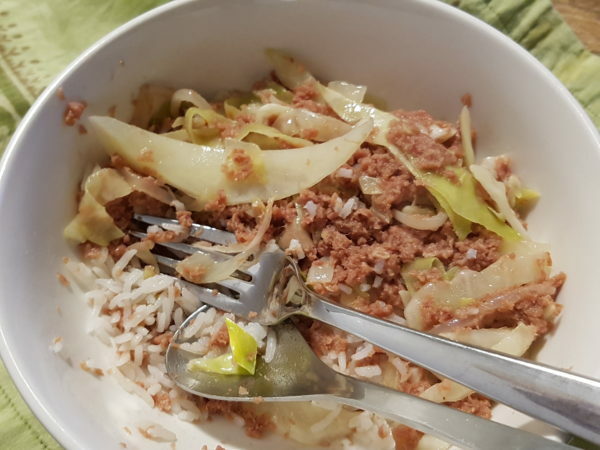 Serve the canned corned beef and cabbage on a bed of steam rice! (aka bully beef with cabbage)! The Best quick and easy meal! It does not cost a lot in ingredients. Yet it is so tasty. I can eat this for dinner, lunch and then dinner again the next day!